Anti-Pitchfork: Julian Morgan performing at the 2018 BLI Summer Jam, Northwell Health and Jones Beach Theater! Julian Morgan performing at the 2018 BLI Summer Jam, Northwell Health and Jones Beach Theater! With the Summer in full swing as he puts the finishing touches on his Debut EP AND having just hit 1,000,000 streams for his single “Company” on Spotify - Long Island’s own R&B singer/songwriter/producer and superstar Julian Morgan is getting ready to perform LIVE at the 2018 BLI Summer Jam along with fellow Islander Ali B on Friday, June 15th! 21-year-old Julian Morgan immediately evokes the peak of '90s R&B with relevant Urban Pop. His combination of talents empowers Julian to connect with listeners by making music for fans and media alike as he prepares for the release of his debut of his debut EP via Prepared Records. You could say Julian Morgan was destined to bring people to their feet; After picking up piano at just seven-years-old, the young phenom dedicated himself wholeheartedly to the instrument. He listened to an array of greats, from Michael Jackson and Stevie Wonder to Chris Brown and John Legend. Julian also learned to play the trumpet and joined choir in high school, discovering his voice along the way. By 12th grade, he earned a spot in his school's all-state jazz choir. However, it was solo performance of Stevie Wonder's "I Wish" at the Capitol Building in Albany, New York that properly kick started his journey. "That really opened my eyes," Julian recalls. "It was such a magical feeling to sing while backed by a band. I was so comfortable. Being on stage just like it was meant to be. There was no other place I'd rather be, either." After attending Suffolk County Community College, Julian buckled down and focused on music. As he wrote countless songs, he worked with renowned vocal coach Jan Smith [Justin Bieber, Drake] to hone his chops. In 2016, he linked up with producer Will Caballero and engineer Mitch Tricarico and began recording original tracks. After one listen, Prepared Records C.E.O. Eric Sfoglia immediately signed Julian. The impact of Julian's musical training can be clearly felt on his debut single "Company", which he co-produced with multi-platinum hit-maker Drumma Boy. The song lures us in as a simmering beat builds into an unshakable refrain, while impressive vocal runs and impeccable falsetto highlight Julian's inimitable voice. Julian Morgan represents a fresh, reality-inspired movement for Urban Pop. "It's about just being honest for me," he explains. "I'm letting everybody know what I'm going through, so we can all share in something true." 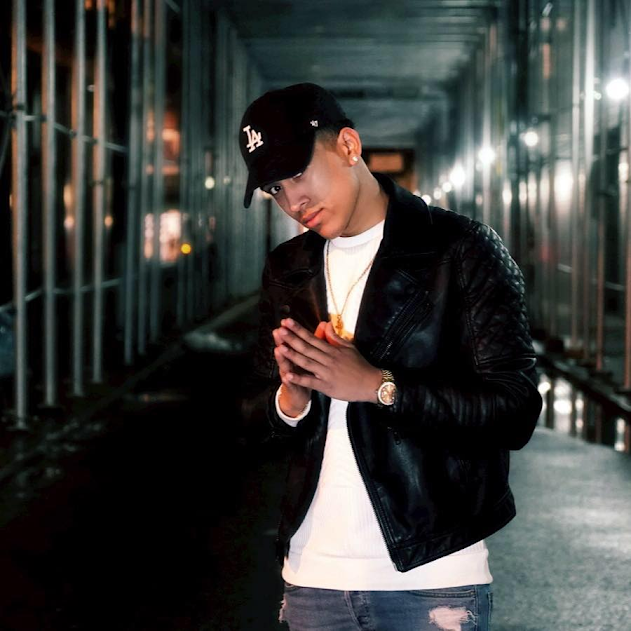 Following a ton of praise with his hit new track, which has seen him interviewed on Sirius XM’s Shade 45, New York’s Hot 97 with DJ Drewski and Power 105.1FM, and played on over 38 Hip-Hop/R&B stations nationwide - you can catch him LIVE along with AliB on Friday, June 15th at the 2018 BLI Summer Jam at Northwell Health at Jones Beach Theater (895 Bay Pkwy, Wantagh, NY 11793)!